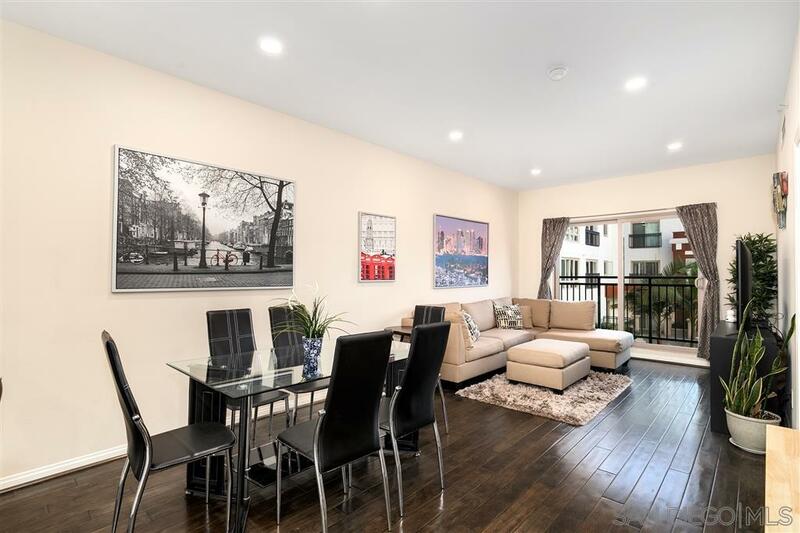 Prepare to fall in love with this Gaslamp City Square unit that features an open floor plan that allows the living room, dining area and kitchen flow seamlessly together. The kitchen features crisp, white shaker cabinetry, recessed lighting, granite counters, stainless steel appliances and an eat-at breakfast bar. Open the slider wide to allow the breezes to flow through and enjoy views of the courtyard below. The split bedroom plan is perfect for roommate scenarios or added privacy., Prepare to fall in love with this Gaslamp City Square unit that features an open floor plan that allows the living room, dining area and kitchen flow seamlessly together. The kitchen features crisp, white shaker cabinetry, recessed lighting, granite counters, stainless steel appliances and an eat-at breakfast bar. Open the slider wide to allow the breezes to flow through and enjoy views of the courtyard below. The split bedroom plan is perfect for roommate scenarios or added privacy.